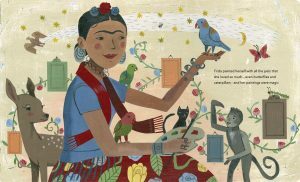 Frida and Her Animalitos is based on the life of one of the world’s most beloved artists, Frida Kahlo, and the animals that inspired her art and life. 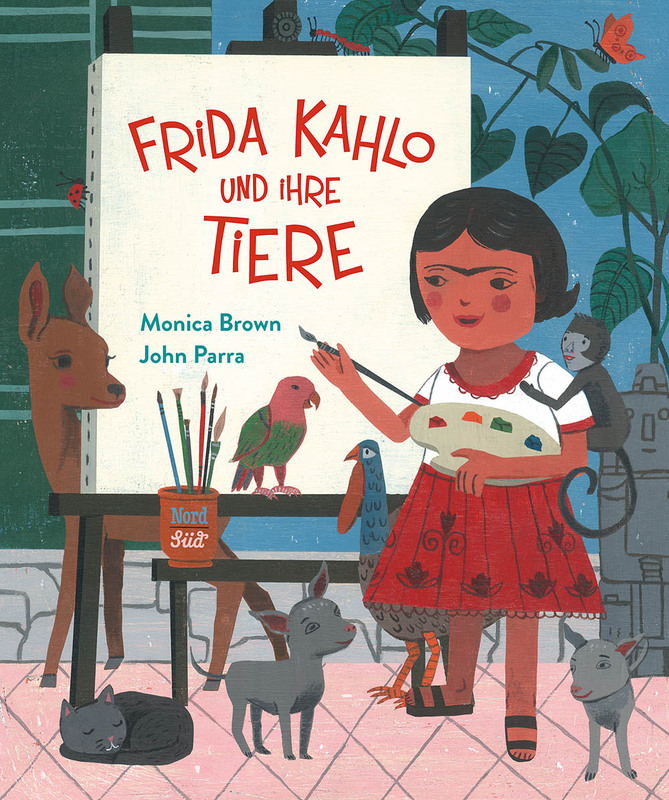 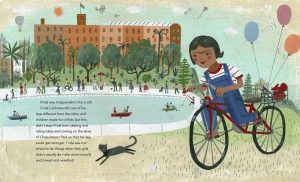 Brown‘s story recounts Frida’s pets – two monkeys, a parrot, three dogs, two turkeys, an eagle, a black cat, and a fawn – and playfully considers how she embodied many wonderful characteristics of each animal. 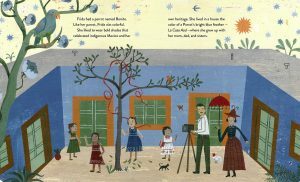 Parra’s bold-colored art, reminiscent of Frida’s palette, make this biography a warm and wonder-filled offering for Frida Kahlo fans old and new.